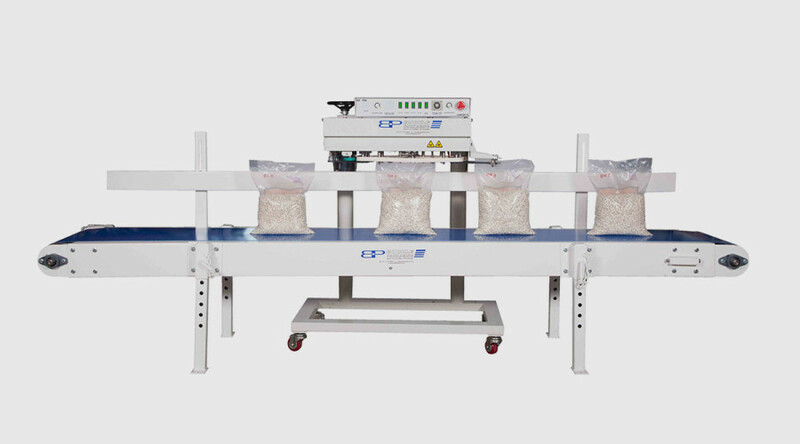 This unit is suitable for packets that need to be in the lay flat position. 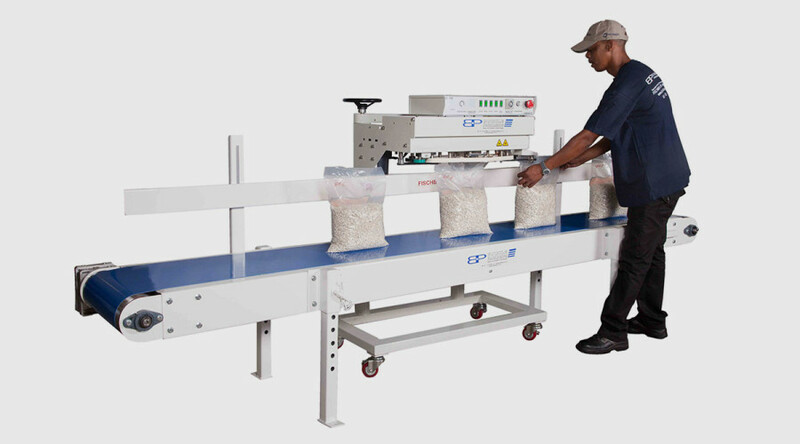 The machine has an adjustable guide at the infeed section allowing the operator to position the bag at the correct height prior to feeding the bag into the machine for the sealing process. 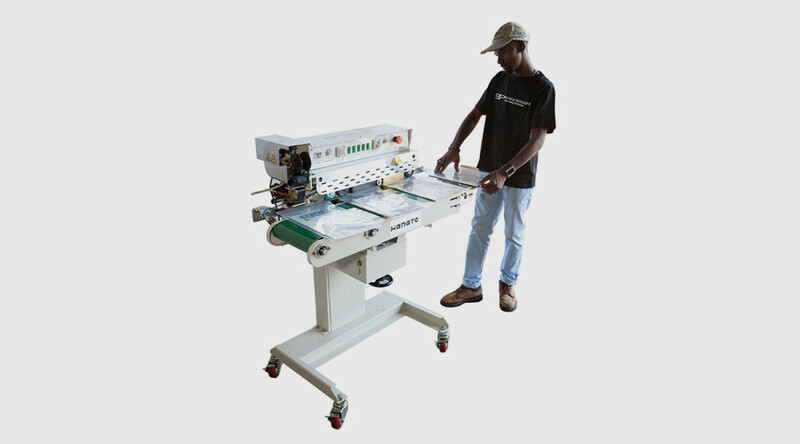 It is a neat and compact machine that is user friendly and comfortable to operate. 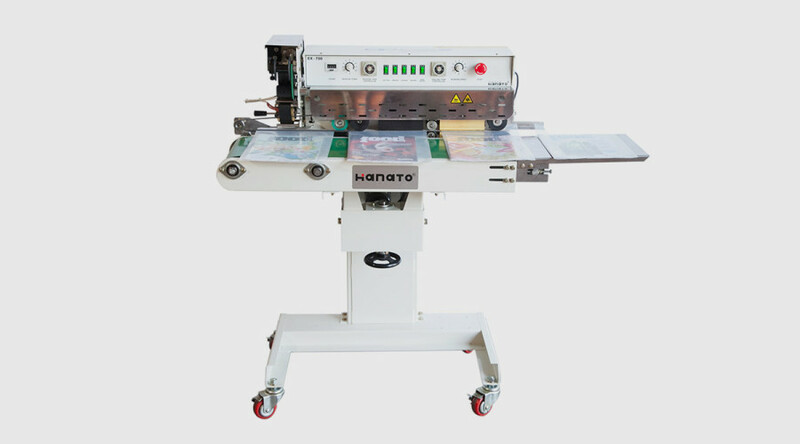 A perfect solution for sealing packets of snack food,Hanato EX700 Continuous Band Sealer magazines, bread rolls and plastic bags with header cards. Horizontal sealer complete with Printer and 1.0m long flat bed conveyor.